Meet MEF’s leadership team: A group of talented and committed individuals who shape the organization’s goals, services and strategy. Passionate about Chinuch, this team is making a significant impact on students' lives around the world. 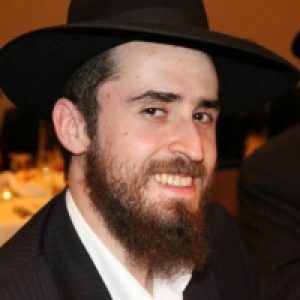 A tireless activist on behalf of Jewish learning and professional education, Rabbi Shneur founded the Menachem Education Foundation in an effort to raise the bar for Chabad education. He is widely recognized for his solutions-oriented approach to challenges and his passionate advocacy for students. After nearly a decade as a teacher and curriculum director, Mrs. Rose has taken her passion for education to the next level in her role as MEF’s educational director, where she works with teachers, schools and other constituents to bring MEF’s lofty educational goals to life in the classroom. Mrs. Rose also leads the women’s division of TIP. 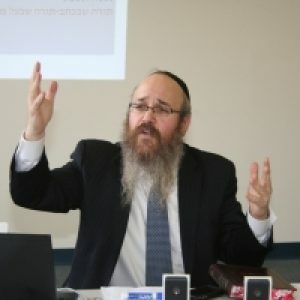 A widely esteemed educational consultant and principal of blue-ribbon winning Yeshiva Schools of Pittsburgh, Rabbi Rosenblum steers the content and development of the Zekelman Standards and acts as a senior advisor of MEF’s educational initiatives. 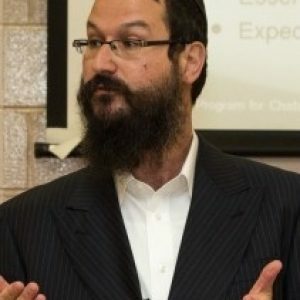 As Principal of the high performing Cheder Menachem of Los Angeles, CA, and recipient of the Milken Jewish Educator Award, Rabbi Greenbaum contributes to the content and integrity of MEF’s educational activities. A veteran teacher of 8 years at Cheder Chabad of Monsey, Rabbi Silber is himself an alumnus of MEF’s first TIP cohort and a sought after teacher, mentor and advisor. Today, he directs the men’s division of the TIP. A highly skilled and experienced educator, Rabbi Feldman is a renowned “teacher’s teacher” who regularly shares his passion for advancing Torah education with others. Trained by the JNTP, he has personally mentored educators around the world and is currently leading MEF’s teacher coaching program. Director of Curriculum in Yeshiva-Beth Rivkah Colleges in Melbourne, Australia, and author of numerous Judaic curricula and workbooks, Dr. Rosenfeld is sought after as a presenter and Jewish educational consultant around the world. A veteran educator with over a decade of experience with a variety of age groups, experienced teacher, mentor, curriculum coordinator and instructional leader at Cheder Chabad of Philadelphia, Mrs. Gurevitz was personally trained to lead the Teacher Coaching Program by its chief developer, Ms. Liz Gewirtzman. 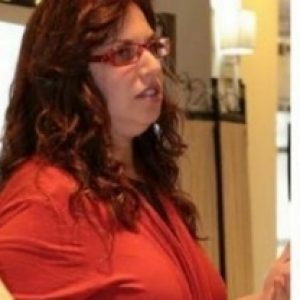 A veteran fundraising professional, Mrs. Mark started her development career in the Jewish Federation system and then went on to raise funds for other Jewish organizations. At MEF she helps manage the annual campaign, grant applications, as well as board and leadership development. Ms. Krinsky directs MEF’s messaging to the public and ensures that our organization's vision is communicated through various marketing and social media channels. Ms. Tauber’s skills in leading and managing varied programming, in addition to her passion for excellence in education, ensure that all of MEF’s services and events are planned and executed at the highest level. Ms. Tauber also plays a key role in MEF’s administrative team. An experienced writer with a talent for breaking down big ideas into clear and simple words, Mrs. Udkoff helps tell MEF’s story throughout the organization’s written communication. As the director of MEF’s educational job placement program, Mr. Sugar has a keen understanding of what schools and job seekers are looking for and works tirelessly to make effective matches that will benefit all parties. After seven years with Darchai Menachem in Crown Heights as teacher and Academic Director, Rabbi Perelstein made the move to Morristown, New Jersey, where he currently teaches at the Cheder Lubavitch Morristown and holds the title of Curriculum Director. He has been extremely influential in the growth of the Zekelman Standards and their resources, both in content and design. A tech and media maven, Rabbi Deray manages MEF’s online communities and assessment and learning platforms. He also helps develop our websites and other tech-based systems. MEF is committed to maintaining Halachic and Hashkafic integrity throughout all of its programs, activities, and decisions. The Vaad Ruchani formally oversees the spiritual aspect of MEF and ensures that MEF’s work faithfully follows “ruach yisroel saba,” the time honored tradition of the Jewish people. The Vaad sets the parameters for the spiritual tone of our organization and advises MEF staff on development, programs, and activities. Rabbi Noson Gurary went out on Shlichus in 1970 to Buffalo, NY where he established many successful religious and educational institutions. Today, as the Chabad Rav of the city and the Executive Director of Chabad of Buffalo, Rabbi Gurary sets the spiritual tone for his community and is respected for his wisdom throughout the Chabad world. Rabbi Chaim Dovid Kagan left a distinguished career in academia to devote himself to Jewish education. He has been involved in the creation and administration of various educational institutions. Rabbi Kagan is deeply involved in the local Monsey community and is the Rav and spiritual leader of K'hal Bais Menachem. Rabbi Yitzchok Wolf has been the School Dean of the renowned Cheder Lubavitch Hebrew Day School for over three decades. Known for his depth and breadth in Judaic learning and for his passion for education, Rabbi Wolf also serves as an esteemed spiritual leader and Rabbi for the large Chicago Lubavitch community. MEF’s board of directors is composed of dedicated, diverse, and engaged lay leaders whose wisdom and experience make them ideal stewards of our mission. Gerald Eisenberg is a recognized financial service industry expert, with experience in financial planning, tax consulting, accounting, and real estate. Mr. Eisenberg is the patron of MEF’s Eisenberg Award. Rabbi Zalman Shneur is the Executive Director and Founder of the Menachem Education Foundation. Alan Zekelman, is president of various companies including Atlas Tube, Inc., a leading Canadian manufacturer of steel construction and industrial tubing. Mr. Zekelman is the primary benefactor of the Zekelman Standards for Judaic Studies.